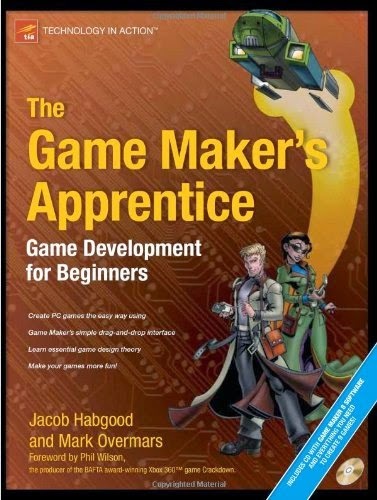 The Game Maker's Apprentice shows you how to create nine exciting games using the wildly popular Game Maker game creation tool. This book covers a range of genres, including action, adventure, and puzzle games--complete with professional quality sound effects and visuals. It discusses game design theory and features practical examples of how this can be applied to making games that are more fun to play. Game Maker allows games to be created using a simple drag-and-drop interface, so you don't need to have any prior coding experience. It includes an optional programming language for adding advanced features to your games, when you feel ready to do so. You can obtain more information by visiting book.gamemaker.nl. The authors include the creator of the Game Maker tool and a former professional game programmer, so you'll glean understanding from their expertise.